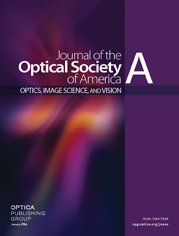 For high-contrast imaging systems, the time delay is one of the major limiting factors for the performance of the extreme adaptive optics (AO) sub-system and, in turn, the final contrast. The time delay is due to the finite time needed to measure the incoming disturbance and then apply the correction. By predicting the behavior of the atmospheric disturbance over the time delay we can in principle achieve a better AO performance. Atmospheric turbulence parameters, which determine wavefront phase fluctuations, have time-varying behavior. We present a stochastic model for wind speed and model time-variant atmospheric turbulence effects using varying wind speeds. We test a low-order, data-driven predictor, the linear minimum mean square error predictor, for a near-infrared AO system under varying conditions. Our results show varying wind can have a significant impact on the performance of wavefront prediction, preventing it from reaching optimal performance. The impact depends on the strength of wind fluctuations with the greatest loss in expected performance being for high wind speeds.